Steve Faber is Byrum Fisk’s West Michigan team leader, managing several local accounts and driving the firm’s growth in Grand Rapids and across the region. Steve is an experienced, proven executive who has experience guiding the growth of organizations, managing complex public-private partnerships, and leading community initiatives and campaigns. Steve’s expertise is translating vision into actionable plans by gathering research, engaging stakeholders, building coalitions, managing strong teams and solving problems. Before joining Byrum & Fisk Communications, Steve was Executive Director of Friends of Grand Rapids Parks, a nonprofit startup that is widely credited with implementing some of the most innovative community programs in the region, including the passage of the first property tax millage in the city’s history to secure $28 million in dedicated funding to support parks, playgrounds and pools. 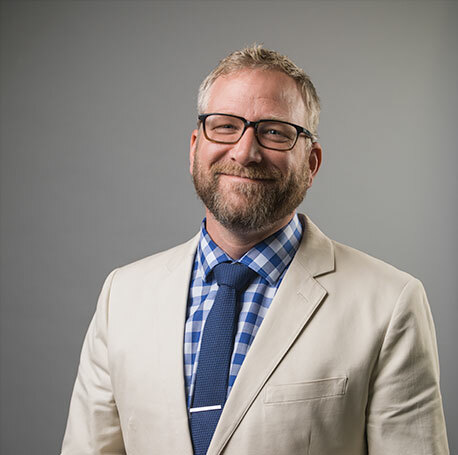 A native of the Pacific Northwest, with deep roots in the Grand Rapids area, Steve received his bachelor’s from Calvin College and his master’s from Grand Valley State University.